You can CLICK on the slide show below to PAUSE, PLAY, FORWARD, or REVERSE! Watch My Video on the Cell Cycle and Mighty Mitosis! 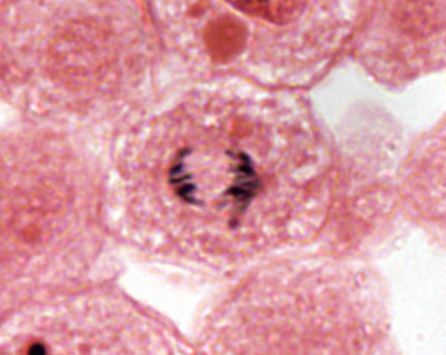 ​WHY DO WE DO MITOSIS? All the Cells of your Body (except for your oocytes or spermatozoa) reproduce by MITOSIS! When you are an adult, your body will still undergo mitosis for cell repair and cell replacement. Cells react and respond to changing environments. 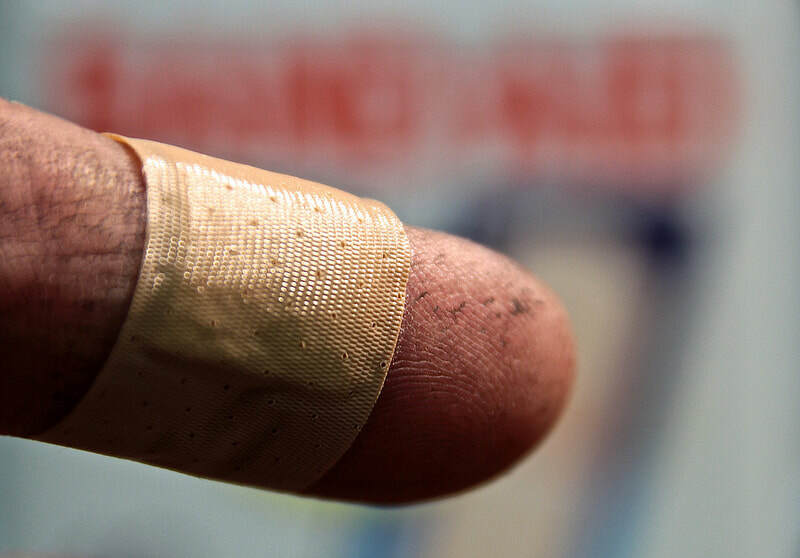 How does your body know when it need to grown more cells to heal a wound? Cells communicate to each other using chemical signals. When you cut yourself, the cells along the edge notice that their neighbor is gone. The cell responds by will entering the cell cycle and mitosis to make more cells to fill in the ‘gap’. Interphase includes G1, S and G2 phases of the cell cycle. The cell cycle starts with G1. Then in S-Phase DNA synthesis occurs. Here is where the cell makes copies of its DNA so the chromosomes in the nucleus each consist of two connected copies, called sister chromatids. You can’t see the chromosomes under a microscope at this point, because they are still in their long, stringy, decondensed form. Chromosomes in the decondensed form are called chromatin. 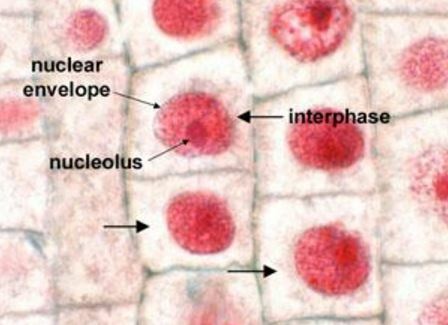 When you look at a plant or animal cell during mitosis, you can only see the cell membrane, the nucleus, the nuclear envelope, and perhaps the nucleolus. After interphase is complete, MITOSIS BEGINS! Mitosis is the asexual process of cell reproduction (cell division) in which one “parent” cell divides to produce two new “daughter” cells. 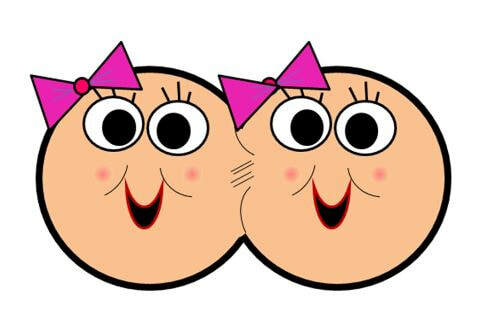 The daughter cells are clones of the parent cell. In other words, they are genetically identical to the parent. ​DNA condenses to form chromosomes. Nuclear envelope (membrane) begins to break up. 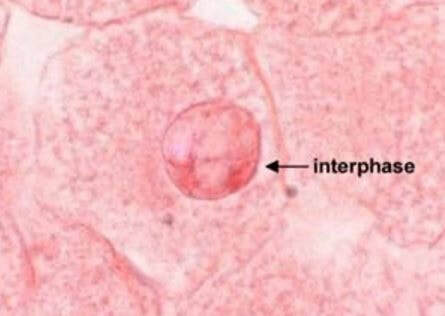 During interphase, the DNA is not visible under a microscope. The DNA during interphase is in a decondensed state and is referred to as chromatin. During prophase, chromatin condenses to become visible chromosomes that can be seen with a compound microscope. 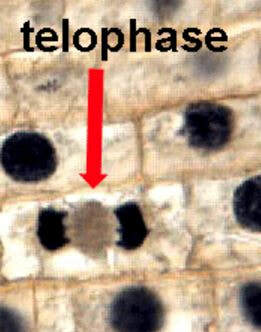 In the plant and animal slide, you can see darkened strand that begin to appear as prophase progresses. These are the chromosomes condensing! You may also see that the nuclear envelope is no longer distinct, indicating the nuclear envelope is breaking up. Breaking up the nuclear envelope is necessary to allow the spindle apparatus to connect to the kinetichores on each sister chromatid. The spindle (or spindle apparatus) attaches to the kinetochores of the chromosomes and lines the chromosomes up along the midline at the metaphase plate. Remember that each chromosome at this stage is composed of 2 genetically identcal sister chromatids. Each of the sister chromatids has its own kinetichore (located at its center) that the spindle will connect to. The spindle pulls sister chromatids to opposite sides of the cell. The chromosomes decondense back into chromatin form. Nuclear envelope (membrane ) reforms. 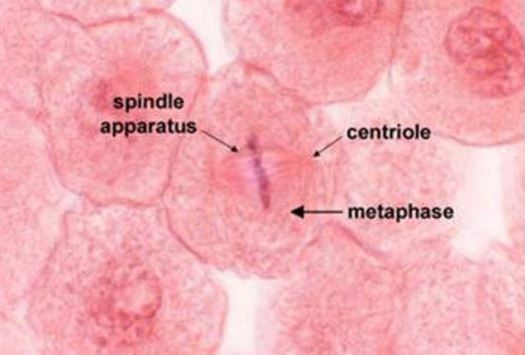 Cytokinesis occurs after telophase and is the process of proteins “pinching” the single cell into 2 newly formed daughter cells. It is not a phase itself, but is the name of the final step at the end of telophase that creates two separate daughter cells!